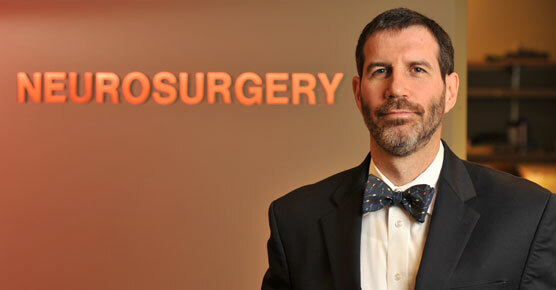 Radiation oncologist Steven D. Chmura, MD, PhD, is an expert in treating brain tumors with radiation therapy. 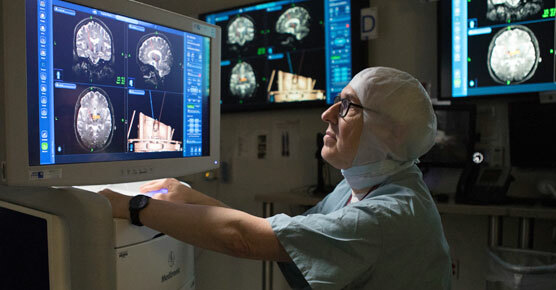 The University of Chicago Medicine Brain Tumor Center offers the latest treatment options for patients with cancerous or non-cancerous tumors of the brain and spinal cord. Your physician will discuss with you your best treatment options, taking into consideration the location, size, growth and type of tumor you have. You may also wish to have physicians from our brain and spine tumor board review your individual case. This board meets regularly to tap the expertise of our leading doctors in determining the most effective approaches to managing your tumor, including surgery, radiation and chemotherapy. Minimally invasive neurosurgery offers shorter recovery times and fewer complications than traditional surgery. For example, surgeons may use endoscopic techniques — operating through a small incision using thin tubes to preserve critical delicate tissues while providing more direct access to tumors. Image-guided minimally invasive laser ablation can destroy tumors while preserving surrounding brain tissue. Neuro-navigation tools are used like a GPS for the brain, allowing greater accuracy when removing abnormal tissue and improving preservation of healthy tissue. Skull-base surgical techniques enable our neurosurgeons to operate on tumors located near the base of the skull without destroying vital brain and brain-stem functions. The full range of conventional and complex open skull and spine surgeries involving microsurgical techniques to treat tumors. Even when a cancerous brain or spine tumor is removed through surgery, radiation therapy is often recommended to destroy any remaining cancer cells. Radiation destroys tumor cells; for non-cancerous tumors, radiation therapy may be used to slow or halt their growth or to treat recurring tumors. Radiation can be used alone or with other types of treatment like surgery or chemotherapy. Stereotactic radiosurgery (SRS) uses highly accurate positioning systems and 3D imaging to precisely map the location of the tumor and surrounding anatomy. Without any incision, doctors can accurately target a high-dose radiation beam on the tumor, causing it to shrink or even disappear. Even very small lesions can be treated with SRS. Since it is very focused, the normal tissue around the tumor gets little or no radiation. SRS can be used for inoperable skull base tumors, arterial venous malformations (AVMs), pituitary tumors, trigeminal neuralgia and other benign conditions. Intensity-modulated radiotherapy (IMRT), a precise form of three-dimensional radiotherapy that uses computers and multiple beams to shape radiation to the treatment area. IMRT allows doctors to "turn up" the radiation dose on tumor areas while excluding sensitive regions, such as the brain stem and spinal cord. Image-guided radiation therapy (IGRT). UChicago Medicine was one of the first hospitals to provide this advanced imaging and treatment technology combined to more precisely identify a tumor’s position. This ensures the accurate delivery of radiation to the tumor. Proton beam therapy allows for targeted high-dose radiation that minimizes damage to surrounding tissue. Patients who may benefit from proton beam therapy are referred to a nearby proton center. Whole brain radiation is used when there is more than one tumor in the brain or if cancer has spread throughout the brain. Hippocampal-sparing whole brain radiation may be used to reduce memory problems related to whole brain radiation treatment. Because the hippocampus plays an important role in memory function, minimizing radiation to this area can help reduce side effects radiation can have on memory and cognition. Chemotherapy is a type of treatment in which medication is delivered through your bloodstream to destroy and prevent the growth, spread or recurrence of cancer. You may receive a single medicine or a combination, and this may be used alone or with surgery or radiation therapy. Although clinical trial research is expanding the use of chemotherapy in treating brain tumors, it’s still only effective on a limited number of them. Temozolomide is the most common drug used to fight brain tumors. Chemotherapy is given in cycles; you may receive your therapy by injection, by pill, or as small wafers implanted in your brain. Bevacizumab is a lab-made version of an immune protein. This medicine targets VEGF, a protein that normally helps tumors create the new blood vessels they need to keep growing. Blocking VEGF helps limit the size of the tumor. When added to chemotherapy, this medicine can help slow the growth of some types of tumors. It is often used for glioblastoma. Everolimus targets a protein known as mTOR which normally helps cells grow and make new cells. Everolimus can help treat a tumor known as subependymal giant cell astrocytoma (SEGA) if it can’t be treated with surgery. Your immune system protects you from infection, illness and substances that can harm your body. Immunotherapy is a newly developing medical treatment that harnesses the power of a patient’s own immune system against disease. Cancer immunotherapy acts on the cells of the immune system to seek out, recognize and attack cancer cells. For clinical trials involving immunotherapy, please visit the UChicago Medicine cancer clinical trials page. 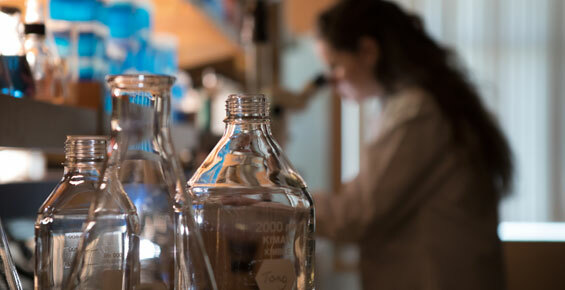 Find a brain tumor clinical trial that's right for you. Learn more about our neurology and neurosurgery care programs.